Connect your IO account to a wide range of services and APIs with Zapier. Zapier is a service for connecting web services and other applications with an API together. It offers support for Gmail, Twitter, RSS, and a few hundred others. 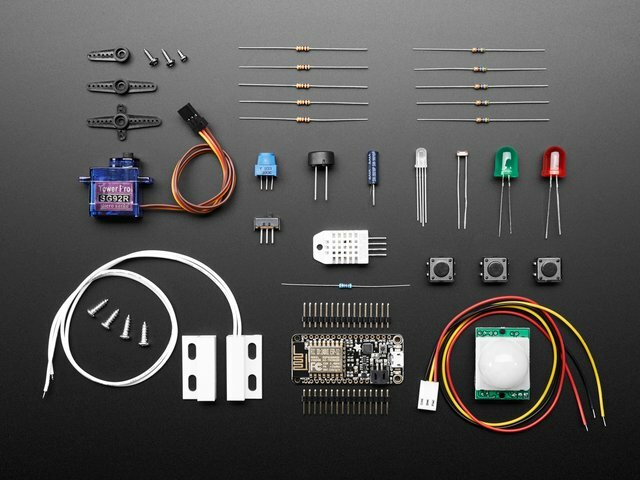 Adafruit.io is a service for connecting your maker projects, sensors and actuators to the Internet. Adafruit.io can receive, send and store messages. But if you want to have a sensor do a thing with your twitter/email/calendar/facebook/etc., you probably want a service like Zapier or IFTTT that bridges those services together. The way this works is that you tell Zapier an API key or other credential for the services you want to connect (one for your Twitter account, one for your GMail, one for your Facebook....), while under the hood it knows how to extract or send values to each, and can be triggered on various conditions. This is a called a zap. Extract data from a service (Twitter) and log it on Adafruit IO. Extract data from an Adafruit IO feed and send it to a service. First, you'll need an account at Zapier and an invite to the Adafruit IO app on Zapier. Visit zapier.com to sign up, and then use this link for the Adafruit IO app invite. Next, you'll need an account on Adafruit IO itself. At the time of this writing, IO is in a limited beta - if you're not already signed up, you'll need to request access over at io.adafruit.com. For this particular demo, you'll also need a Twitter account. If you don't have one of those, you can sign up in a few minutes over at twitter.com. This guide was first published on Aug 26, 2015. It was last updated on Aug 26, 2015. This page (Overview) was last updated on Apr 23, 2019. Send real time analog sensor data to Adafruit IO! How to outfit a simple live trap with sensors and data-logging, and quantify the vermin in your life.